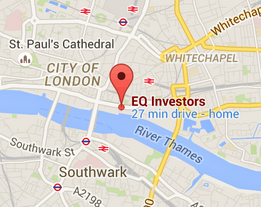 EQ Investors Limited has embraced social media as a means to inform, assist and engage with both existing and prospective clients. Our social media channels (including Twitter, Facebook, LinkedIn and Google+) are for information purposes only. The information should not be considered as investment advice, or a recommendation of any particular strategy or investment product. We welcome feedback and ideas from all our followers, and endeavour to join the conversation where possible. If you have a specific query, please contact us.